If you are interested in getting personally involved, what specific areas of mental health and climate change are you most interested in? What specific skills or knowledge areas could you contribute to CPA activities? 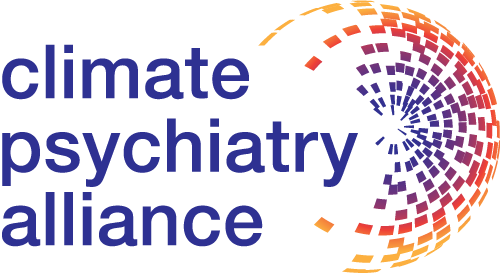 You may receive updates from Climate Psychiatry Alliance, the sponsor of this form. Climate instability is one of the most urgent public health threats of the 21st Century. Mental health is profoundly impacted by the disruptions associated with climate change. Since individuals have only a limited impact, we can be more effective when we join together and amplify our voices and our actions.